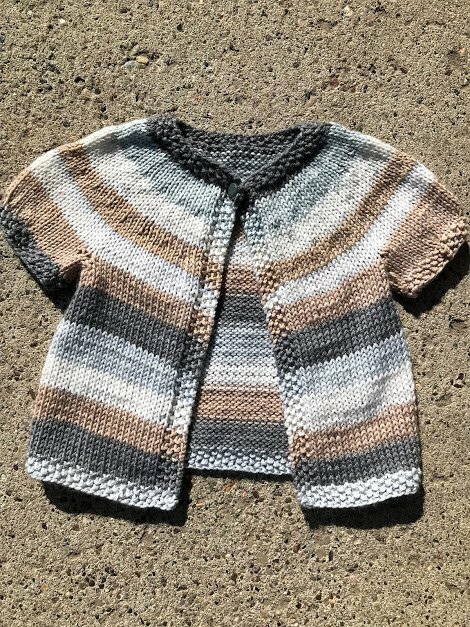 Knit this cute baby cardigan. Perfect for boys or girls. Plus this is a great skill builder for knitting adult sized sweaters. Includes kit for sweater. Kit includes pattern, needles, yarn, and notions.